Petrosadid supplies worldwide to either (sub)contractors, stockiest, trading houses or end-users at site. 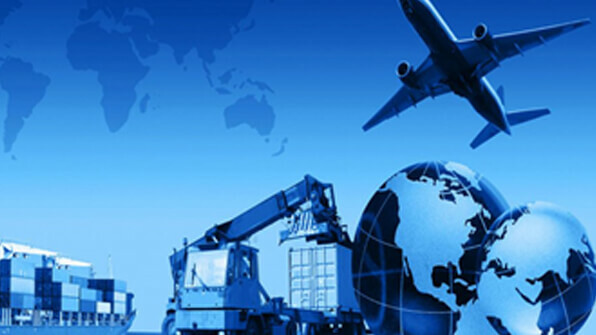 Our experience with international logistics guarantees your goods will be delivered to the location of your choice, on time, with correct documentation and full test certificates. During last years, companies work closer than before and all costs must be analyzed in full details. Petrosadid Company can guarantee that, the shipping costs are the best and least prices from any location in the world to the project sites. Based on our experiences, we can ship in all options from sea, air or by truck. We can follow any revision of incoterms and can math with your requirements in any points of view. Documentation is critical as most of the materials that Petrosadid supply form an integral part of structures that often require third party inspection and governmental approvals. Most likely you will need all sorts of documents for financial and logistic purposes. For instance the Certificate of Origin by Chamber of Commerce. In a typical export exchange, everything starts when you receive an inquiry about one or more of your products. That inquiry may include a request for a quotation. If the inquiry came from a domestic prospect, you probably have a standard quotation form to use. However, in an international transaction, your quote would be provided as a proforma invoice. That’s because your international prospect may need a proforma invoice to arrange for financing, to open a letter of credit, to apply for the proper import licenses, and more. • The buyer and seller in this transaction. • A detailed description of the goods. • The Harmonized System classification of those goods. • The payment term of the sale which would typically be expressed as one of the 11 current Incoterms. • The delivery details including how and where the goods will be delivered and how much that will cost. • The currency used in the quote, whether it’s U.S. dollars or some other currency. Be sure to date your proforma invoice and include an expiration date. There can be a lot of volatility in the export process, so minimize your risk by setting a specific time frame for your quote. Once you’ve sent a proforma invoice to your international prospect and received their order, you need to prepare your goods for shipping, including the paperwork that must accompany the goods. Of those documents, the commercial invoice is one of the most important. The commercial invoice includes most of the details of the entire export transaction, from start to finish. The commercial invoice may look similar to the proforma invoice you initially sent your customer to serve as a quote, although it should include additional details you didn’t know before. For example, once you have the commercial invoice, you probably have an order number, purchase order number, or some other customer reference number; you may also have additional banking and payment information. An export packing list may be more detailed than a packing list or packing slip you provide for your domestic shipments. Your freight forwarder may use the information on the packing list to create the bills of lading for the shipment. A bank may require that a detailed packing list be included in the set of documents you present to get paid under a letter of credit. Customs officials may use the packing list to identify the location of certain packed items they want to examine. It’s much better that they know which box to open or pallet to unwrap rather than have them search the entire shipment. The packing list identifies items in the shipment and includes the net and gross weight and dimensions of the packages in both U.S. imperial and metric measurements. It identifies any markings that appear on the packages, and any special instructions for ensuring safe delivery of the goods to their final destination. Some countries require a certificate of origin for your shipments in order to identify in what country the goods originated. These certificates of origin usually need to be signed by some semi-official organization, like a Chamber of Commerce or a country’s consulate office. A certificate of origin may be required even if you’ve included the country of origin information on your commercial invoice. Usually a Chamber of Commerce will charge you a fee to stamp and sign your certificate or requires you to be a member of the chamber. You’ll need to deliver a completed form to the chamber office where they will stamp, sign and maybe even notarize it for you. I’ve heard of companies getting a stack of blank certificates signed and stamped by their chamber, or even cases of a chamber giving its stamps to certain member companies. However, these practices are not allowed and could result in a chamber losing its ability to provide this certification. One of the most important people you will work with in the export process is your freight forwarder, who usually arranges the transport of your goods with a carrier and helps ensure you’ve taken care of all the details. Depending on your agreed-upon terms of sale—remember, that’s typically the Incoterm you choose—either you hire a freight forwarder to work for you, the exporter, or, in the case of a routed export transaction, the buyer hires a freight forwarder. Regardless of who hired the forwarder, it’s important you provide him or her with a Shipper’s Letter of Instruction (SLI) containing all the information needed to successfully move your goods. There are three common bill of lading documents: inland, ocean, and air waybill. An inland bill of lading is often the first transportation document required for international shipping created for your export. It can be prepared by the inland carrier or you can create it yourself. It’s a contract of carriage between the exporter and the shipper of the goods that states where the goods are going; it also serves as your receipt that the goods have been picked up. In an international shipment, the inland bill of lading is not typically consigned to the buyer. Instead, it is consigned to the carrier moving the goods internationally or, if not directly to the carrier, to a forwarder, warehouse or some other third party who will consign your goods to the carrier when ready. A straight bill of lading is consigned to a specific consignee and is not negotiable. The consignee takes possession of the goods by presenting a signed, original bill of lading to the carrier. A negotiable bill of lading is consigned “to order” or “to order of shipper” and is signed by the shipper and sent to a bank in the buyer’s country. The bank holds onto the original bill of lading until the requirements of a documentary collection or a letter of credit have been satisfied. Goods shipped on a plane require an air waybill. Unlike an ocean bill of lading, an air waybill cannot be negotiable. It is a contract of carriage between the shipper and the carrier. If your products are considered dangerous goods by either the International Air Transport Association (IATA) or the International Maritime Organization (IMO), you need to include the appropriate dangerous goods form with your shipment. Shipping dangerous goods or hazardous materials can be tricky. Before you do it, the appropriate people at your company need to be trained in the proper packaging, labeling and documentation of these shipments. The IATA form—the Shipper’s Declaration for Dangerous Goods—is required for air shipments. There is a different version of the form for ocean shipments. Again, these forms need to be completed by someone who has been trained to handle dangerous goods shipping. A bank draft is an important part of the international sales process for transferring control of the exported goods from the seller in exchange for funds from the buyer. It is often called a documentary collection, because the seller attaches various documents to a bank draft and a cover letter. Usually the seller’s bank will send the bank draft and related documents via the freight forwarder to the buyer’s bank or a bank with which it has a relationship in the buyer’s country. When the buyer authorizes payment for the goods, the buyer’s bank releases the documents to the buyer and transfers the funds to the seller’s bank. The bank draft may or may not include a transmittal letter, which includes details of the bank draft transaction including the types of additional documents that are included and payment instructions.